On Friday 15th, the James Milner Foundation (JMF) held its second ladies lunch at the Titantic Hotel in Liverpool, following on from our first hugely successful lunch at Piccolino in Chester earlier this year. 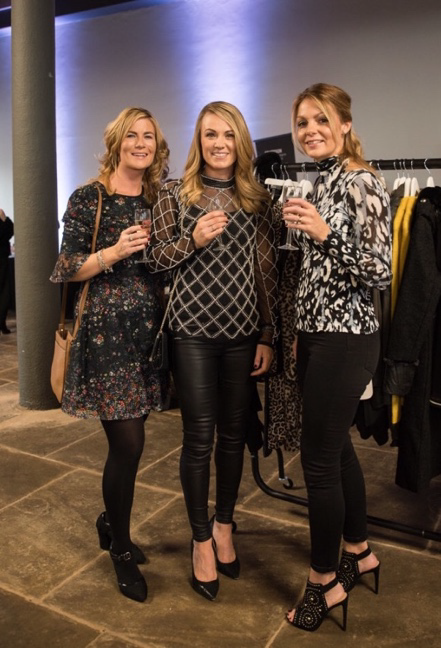 The event was a fabulous afternoon of fizz, food and fashion which saw over 100 ladies come together to raise money for a good cause. After being greeted by a glass of bubbly on arrival, the ladies were treated to a three-course meal at the iconic waterfront hotel. 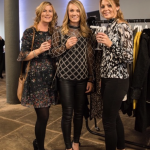 During the meal local retailers Cricket fashion showcased their autumn and winter collections through a fashion show to the audience, with Beauty Bazaar on hand to provide make-up and Robinson’s jewellers dressing them with jewellery. Before and after the meal, guests were also able to shop the latest collection of clothes from Society Boutique and Cricket fashion, as well as Fenty Beauty, hourglass make up and Tom Ford fragrance from Beauty Bazaar. Just under £4,000 was raised at the event, through a raffle, cocktails and a draw to win either a letter necklace donated by Robinson’s jewellers or an amazing Christian Louboutin handbag kindly donated by Cricket fashion. 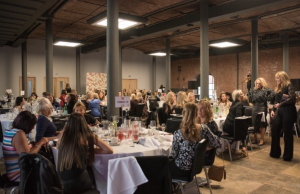 This Ladies Lunch event is just a taste of things to come, as the we look to hold our hugely anticipated ‘The Lost World’ annual Charity Ball in Manchester next month.